Want a Cuban beach getaway but don’t know where to begin? Don’t worry. We’ve already risked blinding ourselves visiting Cuba’s brilliant white sandy shores, and we’re willing to share some of our favourites. We know. So selfless of us. Varadero remains Cuba’s most popular resort – though opinion on the place is pretty divided. 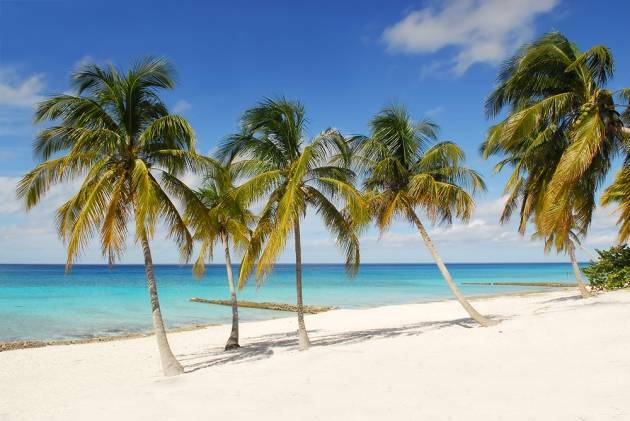 Some travellers avoid the resort, arguing it doesn’t feel like ‘real’ Cuba, whilst many more flock there year after year, drawn back by the abundance of facilities and the undeniable charms of the stunning 12-mile-long white-sand peninsula. 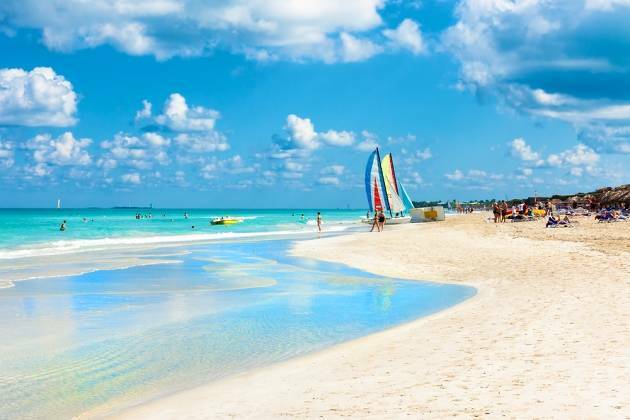 You’ll recognise a few hotel chains here, mostly European brands like Melia and Barcelo, and a lot of accommodation is on an all inclusive basis – making Varadero a reliable choice if you’re unsure what to expect from a Cuban holiday. There are some great attractions to explore too, (aside from the beach) – The extensive Bellamar Caves are one of the oldest visitor attractions in Cuba. In a country of incredible beaches, the beaches along the islands that make up the Jardines del Rey on Cuba’s north coast still stand apart. This is where you’ll find some of Cuba’s most exclusive resorts. They’re set apart from mainland Cuba by more than just the water – these resorts are created for tourists, and most are pretty fancy – so you’re not going to get a taste of authentic Cuba. But if you’re here for a sublime beach getaway you shouldn’t let that bother you. 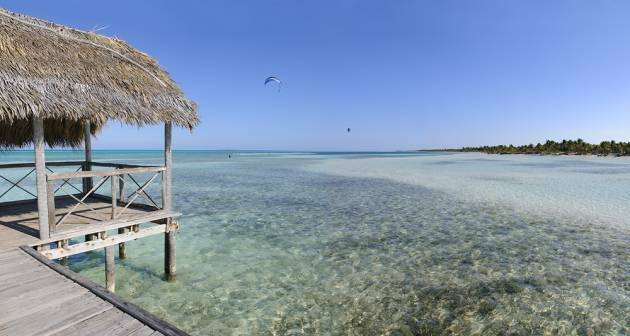 Cayo Coco offers a lot for nature tourists with marshes and scrub land rich with wildlife, and you should visit Playa Pilar on Cayo Guillermo, for many this is Cuba’s best beach of all. 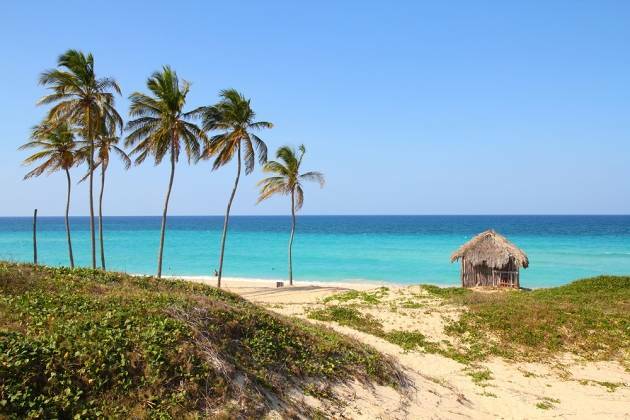 Maria la Gorda’s location out on the north-west tip of Cuba makes this long white sand stretch too remote to make it on to most visitors’ itineraries, yet it’s one of the countries most beautiful beaches. And its remoteness only adds to this peaceful charm. The primary reason for coming here is the diving; Maria la Gorda has some of the clearest waters off mainland Cuba. There aren’t a lot of facilities at the beach but the underwater attractions more than make up for that. Cuba’s capital Havana is one of the country’s unmissable sights – it’s a enchanting mix of crumbling soviet-style architecture, UNESCO world heritage site cobbled streets, classic American Chevrolets, nimble ‘cocotaxi’ rickshaws, spirited salsa dancing and an exceptional modern art museum. it’s also a city with stunning sunbathing opportunities on it’s doorstep courtesy of Playas del Este – a stretch of coastline east of the city, an easy 12-ish miles from Havana, depending which beach you’re headed for. The beaches closest to the city are the prettiest, but also the most built up – expect big hotels, and big price tags on lunch. If you continue right to Guanabo, the furthest beach of the Playas del Este you’ll find an unspoilt beach, unpopulated by tourists, touts or … well anyone really. Somewhere in the middle is best. Try Playa Santa Maria. I might as well admit from the start that Baracoa is not the most impressive beach you’re going to see in Cuba. But what it lacks in style it makes up in substance. Baracoa is a remote town on Cuba’s eastern tip – isolated from the rest of the island by granite cliffs and tropical forest – It’s been likened to the town of Macondo in Gabriel García Márquez’s magical novel ‘100 years of solitude’. There’s plenty of history though, Baracoa is where Christopher Columbus first came ashore, and has even briefly been the capital of Cuba. 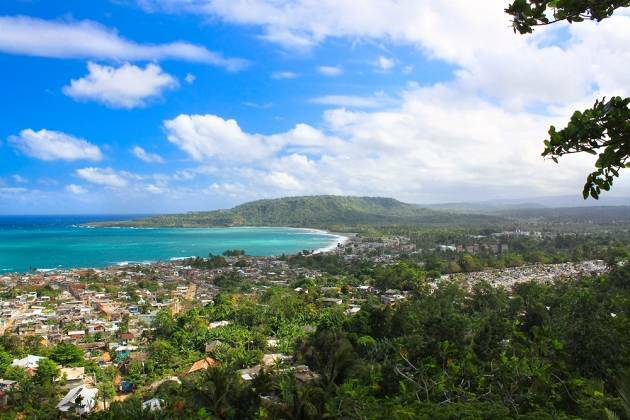 There’s also a great community feel to a holiday in Baracoa, with many unique and intimate accommodations and a black sand beach (Playa Duaba) it makes a nice alternative destination. Guardalavaca means “guard the cow” in Spanish. This is not an important fact about the beach or anything. I just like the name. Of far more interest to potential visitors to Guardalavaca are the fine powdery beaches and the clear waters that make this another prime diving spot. Two of the most popular bays are Guardalavaca beach and Playa Esmerelda, both are protected by a coral reef, and have a wide choice of hotels on the shore. 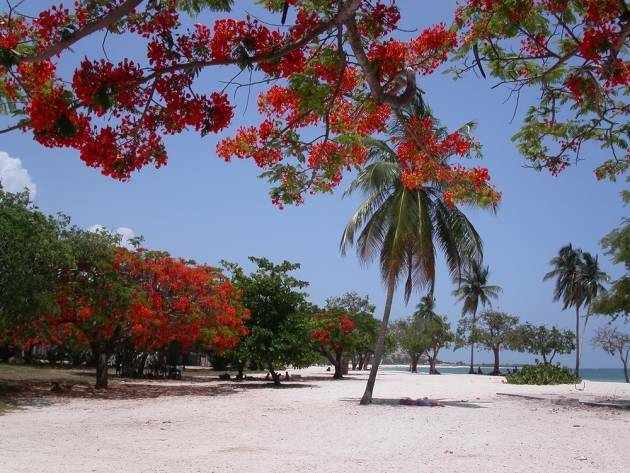 Just a short bus ride away from the beautiful colonial city of Trinidad you’ll find the brilliant white Ancon beach. The beach’s beauty has been marred only slightly by the appearance of one blocky hotel, otherwise this is your archetypal incredible Caribbean beach. 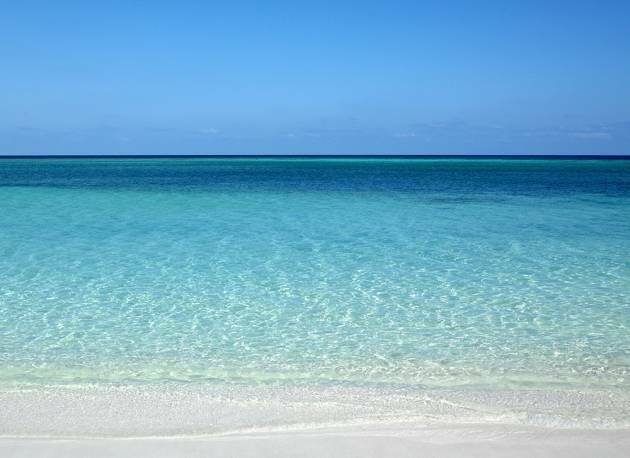 It’s not overly busy, the water is crystal clear, and it’ll only cost you a few CUC to catch a taxi back to town for a night of salsa dancing and Cuba Libres. ← Our Top Five Adventure Holidays!